Falmouth School teamed up with Victoria’s Dance Academy for the third year to host ‘Dance Partners’, a showcase collaboration of the finest work from both groups of students. It was a sold out performance, with nearly 300 people in attendance and a Dance Partners first with the impressive tiered seating. There was a diverse field of performers ranging from primary school students to Falmouth College Year 13 students and even some Falmouth College alumni returning from university. 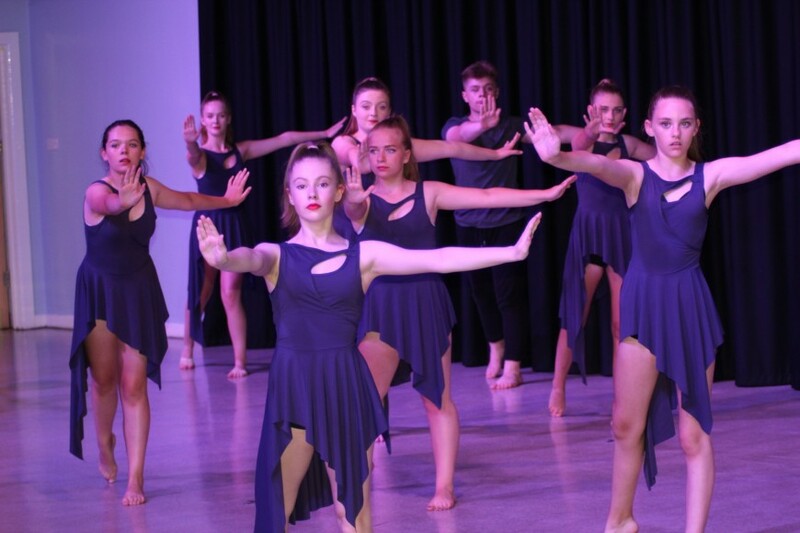 The Year 7 and 8 Dance Group kicked things off to the backing of Ariana Grande’ ‘One Last Time’, with Isobel Fitzgerald following shortly after with the night’s first solo piece. The Primary Tap Group consisting of students aged 5-7 put on a show with ‘Papa Oom Mow Mow’ from Happy Feet, before a thought provoking piece from Aimee Wandless, Abbie Burley, Fleur Webber and Emillie Clarke. The Junior Musical Theatre Group got the audience involved with a spooky Adams Family routine, with Isobel Fitzgerald welcomed back to perform a duet with Imogen Steele. Jasmine Hitchman and Ella Lofthouse were next to perform a duet of ‘Mollie on the Shore’, a piece taken from the syllabus at the Royal Academy of Dance. The Year 9 BTEC and Year 7 and 8 Dance groups were next to take centre stage, followed by a duet piece from the promising young duo of James Kistle and Cecily Reid. There were three pieces from the extremely popular ‘The Greatest Showman’, with the Pointe, Grade 5 modern and Commercial groups performing ‘Never Enough’, ‘This is Me’ and ‘The Greatest Show’. There was still time for two final pieces, firstly from the Year 10 BTEC Dance Group who performed ‘All that Jazz’ from Chicago, with The Year 8 and 9 Dance Team rounding off a fantastic evening with their Cornwall School Games routine to ‘Everybody Wants to Rule the World’. I would like to wish you all a Happy New Year as we welcome our students back after the Christmas break. This is always a busy term, in particular for Years 11, 12 and 13 getting ready for exams and Year 8 making option choices. I hope you managed to see the fantastic production of High School Musical that our students starred in at the beginning of this half term.